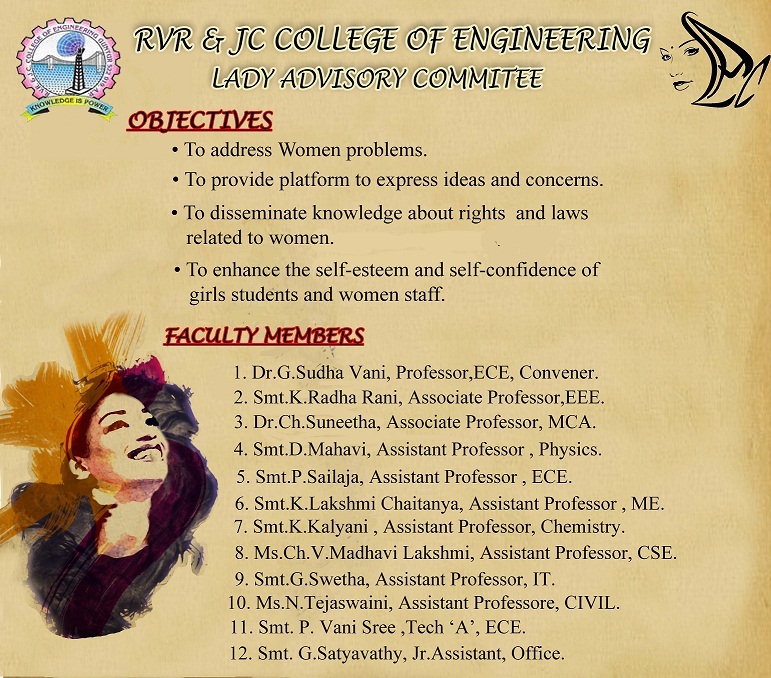 The objectives of the committee are to address women problems, to provide platform to express ideas and concerns, to disseminate knowledge about rights and laws related to women, and to enhance the self-esteem and self-confidence of girl students and women staff. Every year, “International Women's Day” celebrations are conducted. 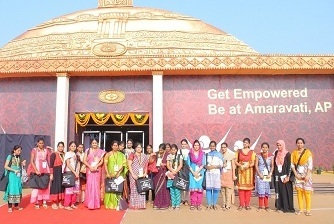 The girl students of B.Tech and PG along with lady faculty members in total 32 members have attended "National Women's Parliament - 2017" Organized by Andhra Pradesh Legislative State Assembly in association with MIT School of government, Pune at Pavitrasangamam, Amaravathi, Vijayawada during 10th - 12th February 2017. The events such as quiz, miss-green, role-play and elocution competitions on women empowerment and great women personalities are conducted. The guest lectures on "Violence against women-Safeguards-awareness of women laws", "Micro Yoga, Pranayama and Meditation", "First Aid and Basic Life Support", “Knowledge, Attitude and Practice for the Healthy Life style-Project Healthy Life Style”, “Stress Control”, “Capacity Building of Women through skills”, “Health and Happiness” are arranged.